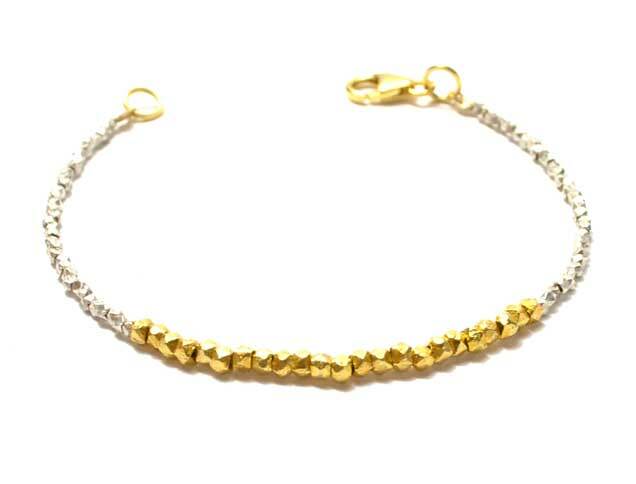 Our delicate Sun & Stars bracelet's faceted and pure silver beads sparkle with every move. 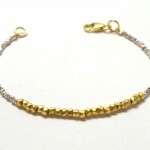 The gold beads are plated in 24kt gold. This bracelet measures 7.5 inches long. Should you need a smaller or larger size, please let me know and I will create one for you. An essential bracelet for everyday wear.